Endeavour is also equipped with scale AC14 anchors, remotely operated from the masters position. or alternatively inward turning fixed pitch, simulating controllable pitch propellers outward turning. 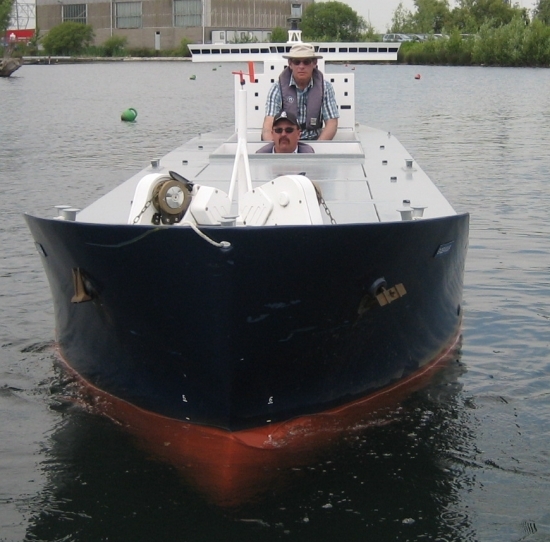 Endeavour can also be de-ballasted to simulate the real vessel in ballast condition. Endeavour can also be modified to simulate an LNG Carrier.